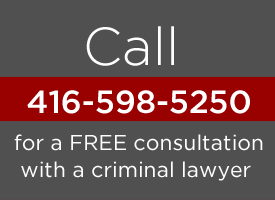 Contact the law firm of David G. Bayliss if you have been arrested or are facing criminal charges. Although the lawyers of DGBPC practice trial advocacy throughout southern Ontario, the main office is centrally located in downtown Toronto near the famous Eaton Centre shopping mall. Those travelling to the office by public transit are within a 10 minute walk of the office after disembarking at the Queen Street station on the Yonge Street subway line. Clients travelling by car are less than 15 minutes from the office after exiting the Don Valley Parkway at Richmond Street if coming from the east or, if travelling from the west, less than 10 minutes from the office after exiting the Gardener Expressway at Jarvis Street. The office is conveniently situated on the ground floor with street front access to a modern office building surrounded by ample parking. Our friendly receptionist will make you feel welcome and comfortable in our modern and well appointed waiting area. David and his associates often conduct interviews on Sundays so that our clients do not have to miss time from work or school. If you would like to coordinate your visit to the office with activities in the city, our location is minutes away from just about every attraction the city has to offer. The Rogers Centre, Air Canada Centre, Queen Street West, The Opera Centre, The Eaton Centre, City Hall, The Distillery District, The St. Lawrence Market and the waterfront are all walkable with minutes from the office. Bayliss will also serve anywhere in Ontario and all Canadian provinces. If you would like us to contact you, please complete the form below. Do not send us any confidential information regarding your charges or case by email.